Enquire about dinner and overnight perhaps? Within the walls of the luxurious five-star hotel, Grande Roche, sits the equally popular Bosman’s Restaurant. 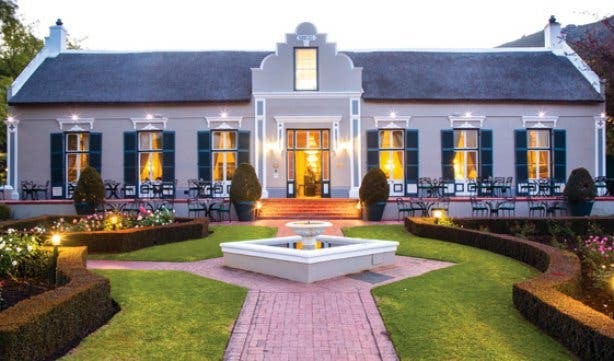 Named after the family who originally owned the wine farm that the manor house sits on, Bosman’s has been serving culinary delights for years. For lunch, a bistro-style menu is available seven days a week from 12pm to 2pm. And for dinner, Monday and Tuesdays, a bistro-style menu is served starting at 7pm and ending at 9h30pm. Wednesdays to Sundays, the fine dining Bosman’s menus are served. The restaurant’s dress code is smart-casual, which means no short pants, T-shirts or sneakers/takkies. 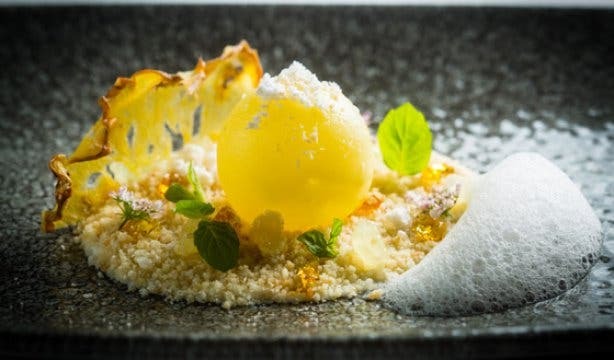 What makes Bosman’s stand out is the exceptional culinary delights it serves up. Classic cuisine infused with creativity and imagination that results in something completely unlike anything you’ve had before. 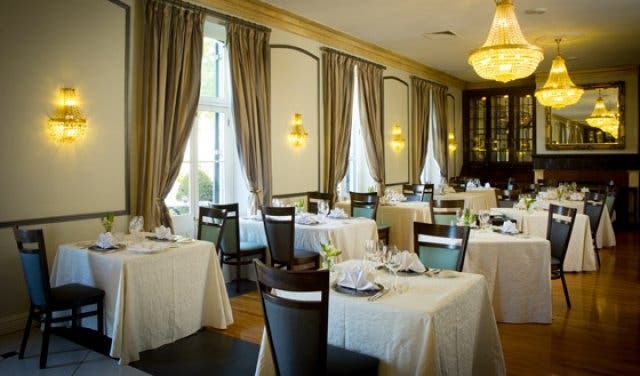 Bosman’s has a la carte, tasting and set menu options which are subject to change based on the seasons. All the menus are also available with wine pairing. And don’t fear if you are a vegetarian, Bosman’s has meals for you too, so you won’t miss out on the fine dining experience. The restaurant seats up to 70 people and the private dining room seats 14 people. 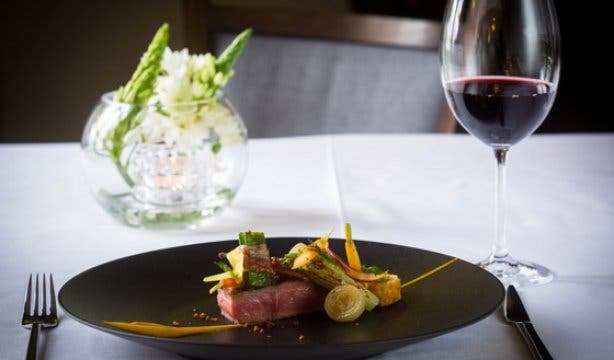 Served mostly for lunch, the bistro menu features delicious, affordable items such as cauliflower créme, oven-roasted free-range pork belly and nougat melktert parfaît as well as cheese platters. 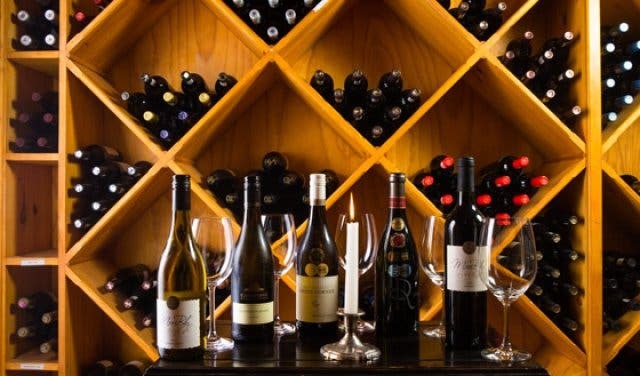 Their wine list boasts 76 different wines that you can order by the glass or by the bottle and reads almost like a directory of the Cape Winelands’ must-drink wines. This wine list even won the 2010 Diners Club Winelist of the Year and has been awarded the Diners Club Diamond Award annually. Another of Grande Roche’s dining attractions is the continental breakfast buffet. It includes four oysters per person and one glass of Méthode Cap Classique. So your luxury life isn’t reserved just for dinner, you get to live it all day. The quality of this breakfast is a steal at only R210. If you are in the mood for a grand tea, you have to try Grande Roche’s High Tea. 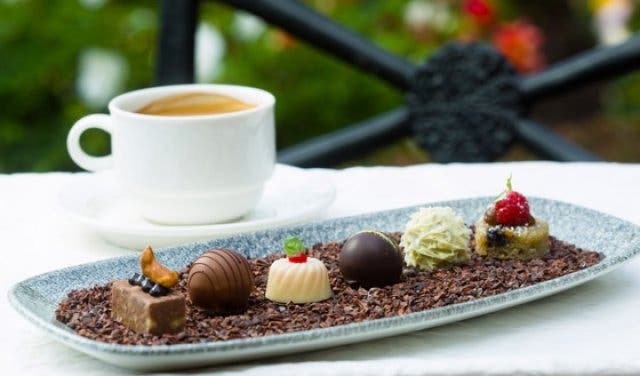 It offers chocolate-dipped fruit, sandwiches and apple crumble as well as many other sweet and savoury items, coupled with an extensive collection of teas, coffee and champagne, in fact, whatever you fancy. Tip: And if you are keen to tick Bosman’s off your bucket list, make sure you book more than er seven days in advance to avoid disappointment. Looking for more special and unique spots to escape to? Check out these ideal romantic weekend getaways. other Western Cape hotels for a romantic getaway? We compiled a list for you!